England’s Wednesday press conference wasn’t exactly the most thrilling of spectacles – but a few interesting developments mean we better know the direction England will be taking in the coming months. There was no news of a new head coach to replace Martin Johnson who left his post last month after a disastrous World Cup campaign, and it now looks certain England will have an interim team in place to guide them through the Six Nations. England Saxons head coach Stuart Lancaster looks set to be the man with the rather unenviable task, while Graham Rowntree will also be assisting him. 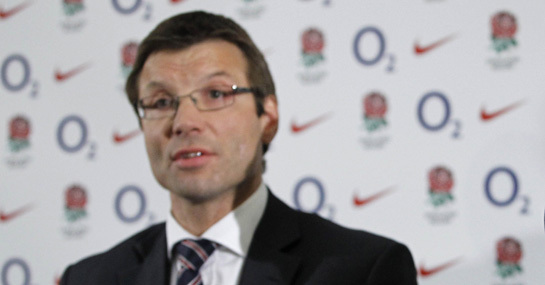 A complete overhaul of the hierarchy at the RFU now looks unlikely though with Rob Andrew continuing to work in the upper reaches of the federation. He’s been moved from his role as Operations Manager to a new position as RFU Professional Rugby Director. He will no longer have anything to do with the elite playing squad but it’s hardly the huge change in personnel many fans and commentators were demanding. The move appears to rule out the reappointment of 2003 World Cup winning coach Sir Clive Woodward but there are no shortage of candidates for the role. Not having a permanent boss for the Six Nations is a huge blow for England and it’s hard to see them bouncing back from their New Zealand disappointment without a firm hand guiding them and finally giving them a strong identity on the pitch. England are currently 5/2 to win the Six Nations, while France are favourites at 7/4 and may be well worth backing. Wales are 11/4 following their run to the World Cup semi-finals but may be without locks Alun Wyn Jones and Luke Charteris for the tournament, giving punters even more reason to look towards the French.